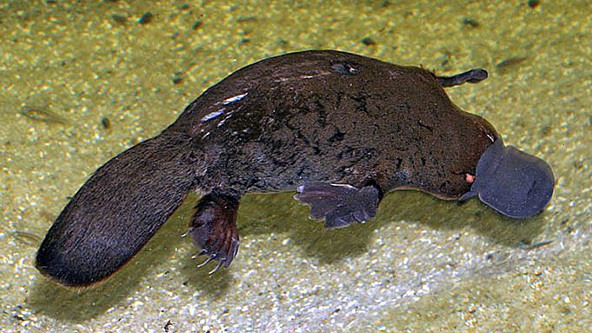 Do you ever felt like you want to hug one of these adorable animals? Well, we can’t blame you for this! The little, furry friend has always been attracting the love of millions of animal lovers. And while it is unlikely for you to find one in the near by pet shop, we offer you a list of places where you can encounter a Koala. And not only you will see how the loveable animal is sleeping or eating, you will be able to interact with it and even get to share a hug. 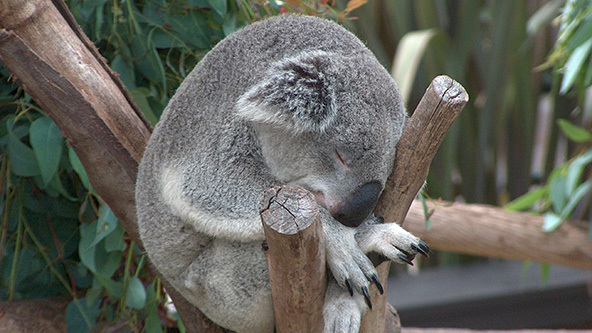 The Koala can sleep between 16 and 20 hours a day. 1. Currumbin Wildlife Sanctuary is just 30 minutes drive from Surfers Paradise. It is one of the most famous attractions in Queensland and we know why. Here you can not only cuddle with a koala, but you will also be allowed to snap that precious moment. 2. Cairns Tropical Zoo is displaying the largest Koala Colony in the tropical North Queensland. The zoo is following a strict Koala Handling Code of Practice that restricts koala’s working hours to only 30 minutes per day. Still the zoo has enough species so you can’t see a Koala working overtime and each visitor can get his few minutes of fame. 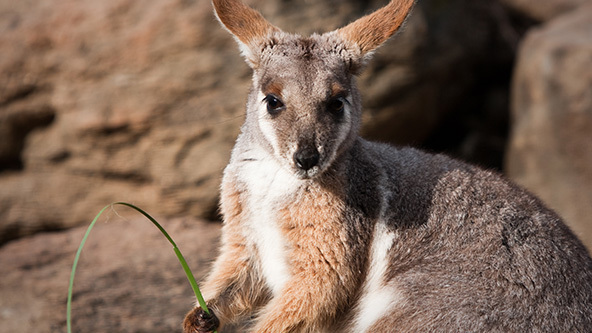 The Wallaby is very similar to his cousin, the kangaroo. 3. Kuranda Koala Gardens situated in the heart of Kuranda gives you the opportunity to see some of Australia’s most unique wildlife up close. 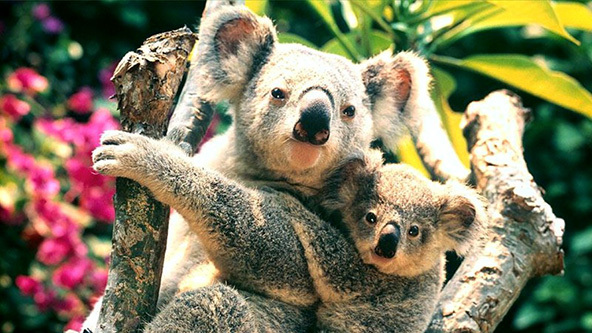 Not only you will be able to hug a koala here, but you also will enjoy kangaroos and wallabies encounters. 4. Dreamworld is situated in Cold Coast Australia. There you can not only experience cuddling a koala, but also a Tasmanian devil. So prepare to cosy up with the adorable animals and to take some pretty cool photos too. 5. Lone Pine Koala Sanctuary is one of the many places in Queensland where you can hug a koala. There you can meet sheep dog, lorikeets and the fascinating playtipus. And even if you haven’t planned a trip to Queensland in near future you can still get a piece of all these cuteness via the interactive koala and platypus cameras.